Dhaka, 3 May, Abnews: As many as 91 people were killed in Uttar Pradesh (UP) and Rajasthan of India as heavy rain and dust storms on Wednesday evening wreaked havoc in parts of the two states, reports Times of India. In Uttar Pradesh, the high-intensity dust storm left 64 people dead and 160 injured, Relief Commissioner Sanjay Kumar told PTI in Lucknow. Agra in UP saw the highest casualties with 43 people, including children, losing their lives, mainly in houses collapses. Nine others lost their lives in other parts of the state including in Bijnaur, Saharanpur and Bareilly. According to the meteorological department of the Indian Air Force’s Kheria base, on Wednesday night, as much as 48.2 mm rainfall was reported in Agra district between 8:45pm to 11:30pm. That was accompanied by 126 km/hr storm winds. 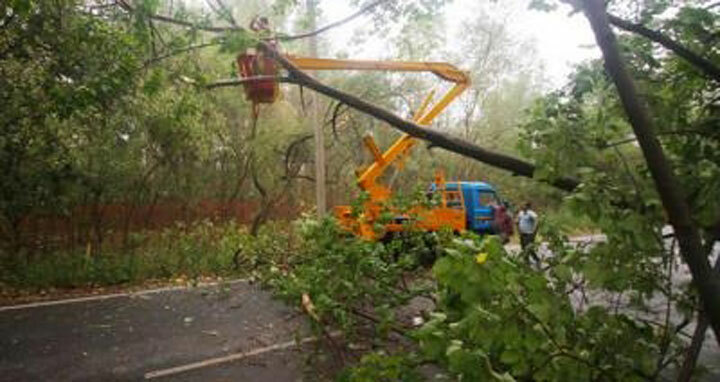 In Rajasthan, at least 27 persons died and more than a 100 were injured as strong winds and dust storms hit Alwar, Bharatpur and Dholpur districts, leaving a trail of destruction and uprooting hundreds of trees, also on Wednesday evening, says Times of India. While nine people died in Bharatpur, mainly in building collapses, three were killed in Alwar, three in Bharatpur and two in Jhunjhunu. Two people died in Dholpur when the roof of a building collapsed, and three people were extricated from under the debris of a house in Mohan Colony and rushed to hospital for treatment. Major destruction was reported from Alwar as the entire district plunged into darkness after the power department cut electricity supply when electricity poles fell snapping power cables. Incidents of fire, reported from Dholpur, added to the worries of district administration. Several other incidents of destruction were reported from various parts of the state. A person who was travelling in a car died after a tree fell on the vehicle in Alwar city. Two others in the car suffered injuries. Police rushed to the spot and pulled the injured out from the damaged car after breaking the window.